Most volunteers from English speaking countries fly into Accra in neighbouring Ghana. Volunteers who arrive in Ghana usually stay one or two nights at the house and office of our Projects Abroad Ghana director, who will help you arrange your visa for Togo. Once you have your Togolese visa you’ll travel by taxi to Lomé, a journey of about three hours. On arrival in Lomé you will meet the local staff and be taken to your host family to settle in and rest. 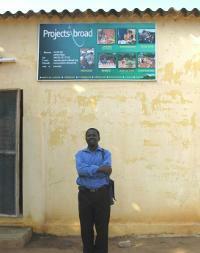 Which ever airport you arrive at a member of local staff will be waiting to meet you with an A4 Projects Abroad sign. At the end of your placement if you need to travel to Ghana for your flight home a member of staff will take you across the border and arrange a bus for you back to Accra.